More people trust us with their hearing. Hearing Advantage has been providing hearing health care to the Olympic Peninsula for the past 25 years, with locations in Poulsbo and Sequim. Our Audiologist’s primary goal is to educate their patients about the effects of hearing loss and possible treatment options. We specialize in comprehensive diagnostic audiology evaluations, state-of-the-art hearing aid technology, tinnitus therapy and hearing loss counseling. We are a modern office with an old-fashioned commitment to quality care and personalized service. We help people with hearing loss and their families find the best solutions for their individual needs. The New Oticon iPhone App! Hearing healthcare you can depend on. We take personal pride in our work. We understand how hearing loss can cause problems with relationships and overall quality of life. We know just how frustrating a listening deficit can be. In order to better serve you, our audiologists continually update their training, taking continuing education courses and attending seminars. In addition to that, they conduct clinical research and study the latest and greatest in digital hearing devices. Our Poulsbo and Sequim offices are equipped with the most advanced computerized instruments for evaluating your hearing, diagnosing your problem, and fitting your hearing aids. We are committed to providing you with the best care possible. 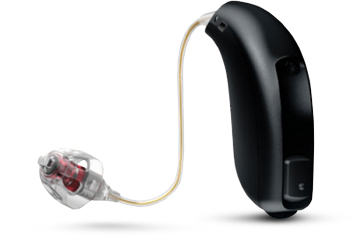 We carry a large selection of digital hearing aids from only the top manufacturers in the business. To meet your personal needs and requirements, we carry a full line of assistive listening devices, including personal amplifiers, TV listening systems, and special telephones for the hearing impaired.